The Boksi team was established in June 2018 and over the course of six months, they had completed 100 000 euros worth of campaigns for customers. The Helsinki-based company launched its influencer marketing platform last summer to optimise the booming influencer marketing market, in which the Instagram segment alone was worth 1.3 billion euros in 2018. The startup aims to bring value by helping companies to find the right micro-influencers for their brand and differentiate from competitors by approaching its mission from a more level-headed angle. Micro-influencers are considered more authentic, tend to get more engagement and put out more content than large-scale influencers. Boksi’s AI-powered analysis tool studies the behaviour and preferences of an influencer’s followers to offer actionable data to marketers. The fresh coin will be used to continue developing the platform and expand the startup’s business in Europe. 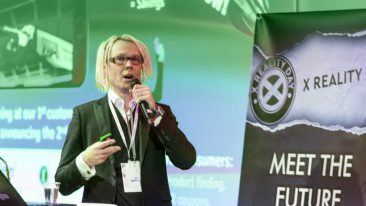 “The team at Boksi.com has played a key role in building the Finnish influencer marketing scene since day one. From importing Red Cups, to operating the most profitable nightclub business in Finland, we strongly believe that the team at Boksi.com will fundamentally shape the future of how brands and content creators utilise social media,” said Oskari Tempakka, CEO at Wave Ventures. The team consists of marketing professionals with over ten years of experience in the field. Boksi currently has a presence in Finland, Sweden, Russia, Germany, the US, Denmark and Croatia.